Getting pre-qualified for financing for a new Toyota or a used car is hassle-free. Fill out a secure online credit application below, and our finance staff can review your application and get in touch with you after we find viable auto loan options. If you have yet to do so already, why not shop our new Toyota inventory or used car selection to find the car, truck or SUV that you want to take home? The staff of the finance department at Plaza Toyota is ready to help you find the auto loan you need! 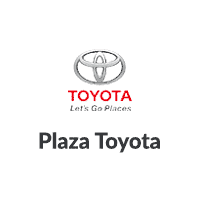 At Plaza Toyota, we proudly serve car buyers of all credit levels in all 5 boroughs.